My first foray into South Indian cooking! Okay so this is one thing you must know about me. I am not a woman of patience. I can't wait. I do not have the patience to wait for dough to rise, or stuff to dry or batter to ferment. I know that completely separates from the bread-making genre, but that's okay. I don't like carbs anyway. (Don't tell bread I said that). 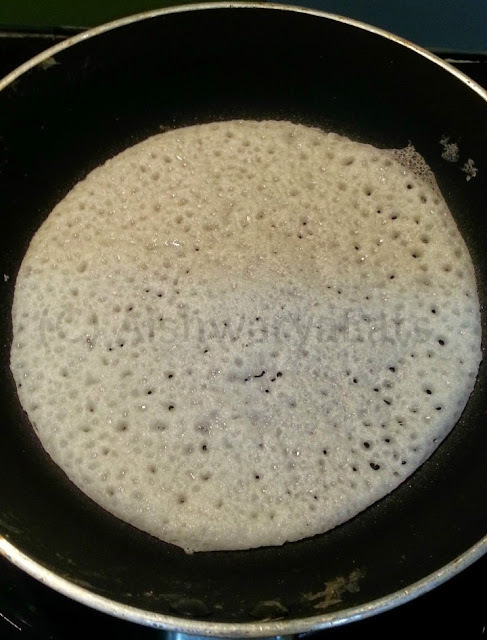 Which is why when I just happened to stumble upon this recipe of a water and rice powder dosa, that did not need to wait to ferment, I found my weekend project. 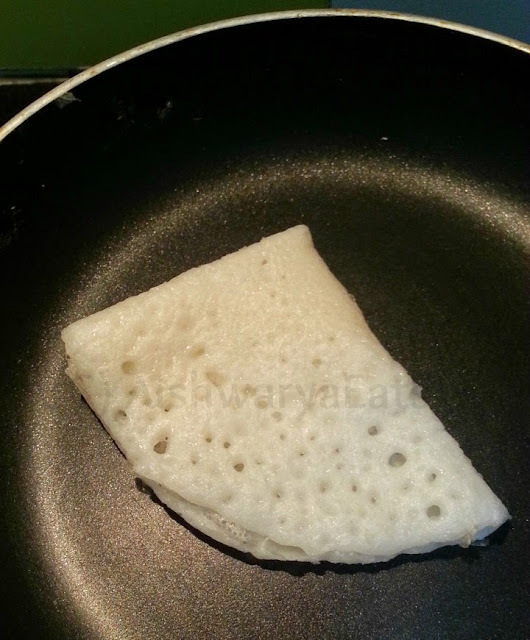 It's called Neer Dosa, neer meaning water, because this is a water based batter. This dosa is as soft as your grandmother's saree, and is best presented folded in quarters, making it look like a well-worn (and delicious) handkerchief. 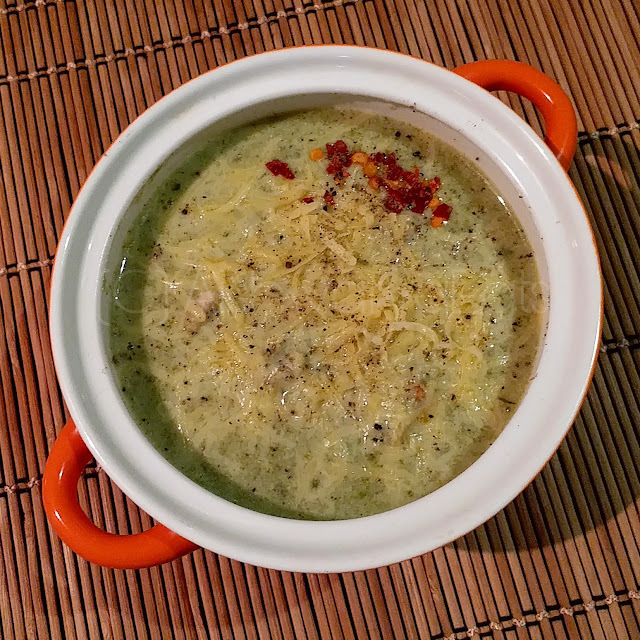 It's best served with thick coconut-based stews and gravies, you can mop it right up! 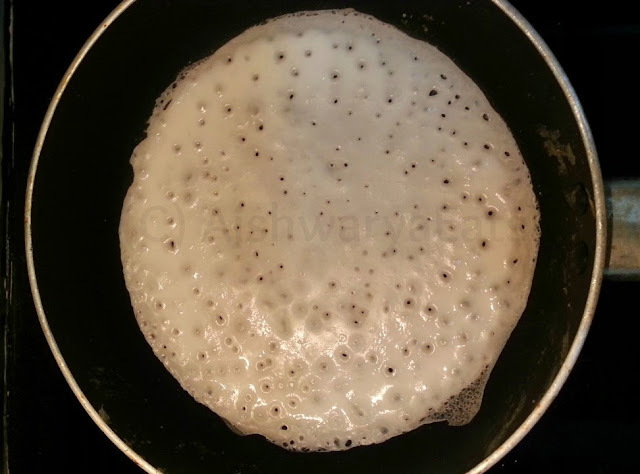 Now it's not complicated to make per se, but you have to be ready for the first 2 to reduce to scrambled rice batter. It's super quick, and you have to be super quick to handle it well. For your guidance I'll provide step by step photos. Presenting the amazing Neer Dosa! shredded coconut, if you want. I omitted this. 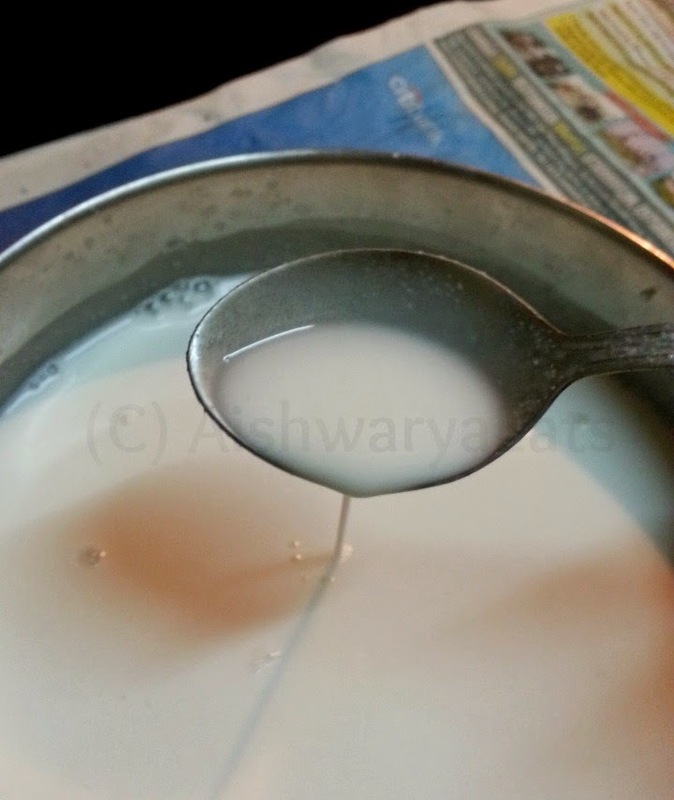 Coconut milk- 1/2 cup, if you want. I omitted this as well. Water about 1 1/2 cups. If you're not using the coconut milk, use 2 cups water. Heat a non-stick pan. Add a few drops of oil, and smear it all over with a paper napkin. This helps spread it well, and removes excess at the same time. 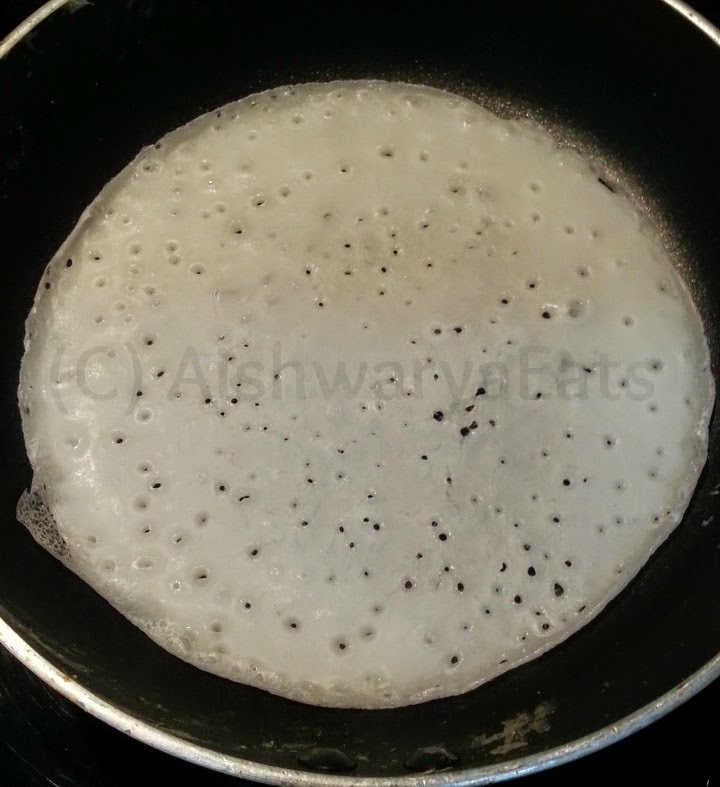 In one swift move, flip the dosa to the other side and cook it on open for abut 15-20 seconds. Take out on the plate. Make the rest of it, and serve hot with your stew. And that's it! This is literally the easiest bread you can make, with minimal effort! Enjoy! What is it best served with? @Aishwarya? 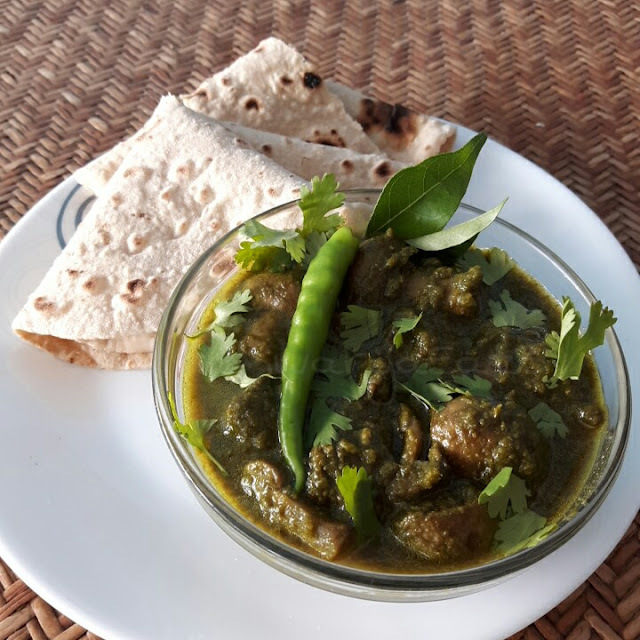 Can we have some instant stew recipes as well to eat it with the Neer Dosa?